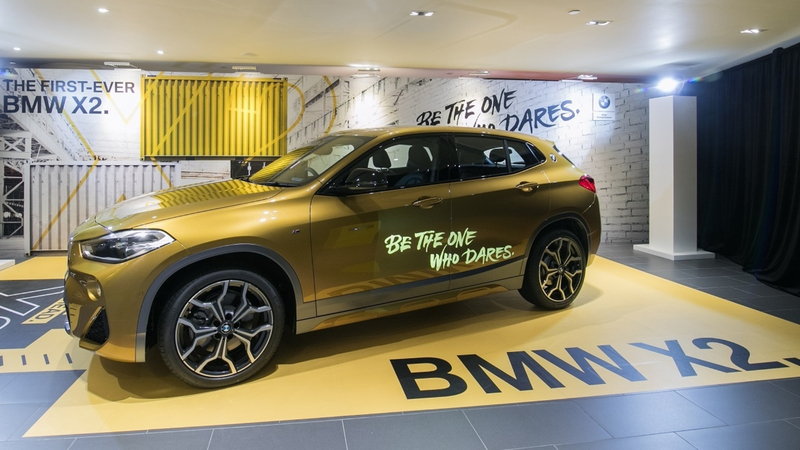 #BeTheOneWhoDares was the theme of global marketing initiative of the all-new BMW X2. Riding on the 50th anniversary of BMW in Hong Kong, BMW converted their To Kwa Wan showroom into an experiential exhibition space designed to appeal to families looking for fun holiday activities as well as prospective new car buyers. Sinclair was appointed to lead public relations for the event, to create buzz and drive traffic to the pop-up exhibition tied to the car launch. Our key challenge was to garner a new wave and style of media attention for the brand in order to engage with a new genre of consumers, attracting them to the exhibition and showcasing a different side to the BMW brand. Highlighted boldness as the pull factor in all communications, including tailor-made gift boxes that initiated conversation with media. Invited lifestyle media to the exhibition for a fully immersive experience complete with exclusive limousine service to the event in order to create talkability and social media shares. Crafted a localised message tailored to select Hong Kong media outlets, including lifestyle publications with extensive reach. Strategically positioned BMW Hong Kong as a forward-thinking brand in the market by arranging in-depth media interviews of trade publications with the management team. Created social buzz at the VIP opening night filled with celebrities and influencers including Dayo Wong. Generated quality, in-depth stories across lifestyle, marketing-trade, automotive and entertainment platforms, including Capital CEO, Marketing Interactive, Campaign Asia, Apple Daily and Hypebeast. Among all the generated stories, 58% (over 100 pieces) landed across various Hong Kong lifestyle platforms, surpassing the client’s expectation in relation to previous campaigns which were usually more automotive-focused stories. Our efforts showcased how we can reach new audiences for an established brand.